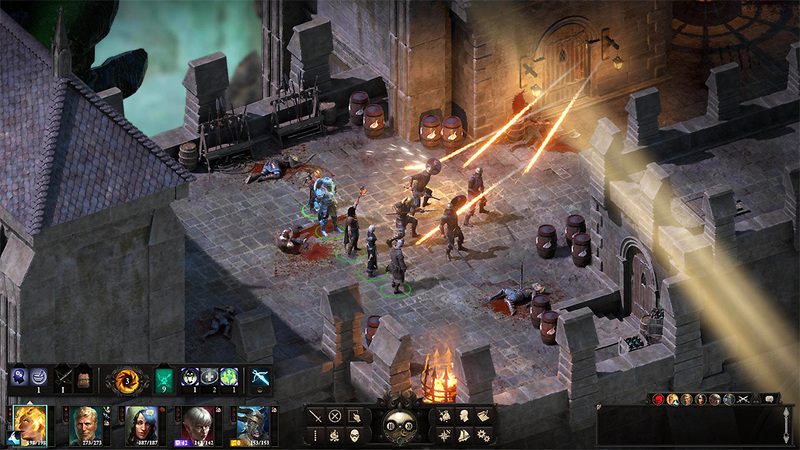 Pillars of Eternity II: Deadfire "Beast of Winter"
Pillars of Eternity II: Deadfire is probably the best RPG of 2018 so far, and there’s a good chance it will still top the list when the year draws to a close. Like all Obsidian games, Pillars of Eternity II is an intricate, skillfully-written epic, but it’s also just a lot of fun — a vigorous, varied adventure that, thankfully, never takes itself too seriously. If you enjoy classic computer RPGs even a little, you really need to give the game a shot (check out my full review here). As you may recall, Pillars of Eternity II: Deadfire casts you as he Watcher, a mysterious traveler with the ability to talk to dead people. Following the events of the first Pillars of Eternity, you’ve set yourself up in a pretty nice cursed castle, but the good times are short-lived, as the 500-foot-tall “dead god” Eothas bursts from the ground, destroys your new digs, and stomps you to death. Thankfully, the god of death and rebirth, Berath, revives you and sends you off to the Deadfire Archipelago to find out what Eothas is up to. I provide this recap for the sake of context, but most of it has little bearing on Beast of Winter – the expansion tells a largely self-contained story with few ties to Pillars II’s main quest. 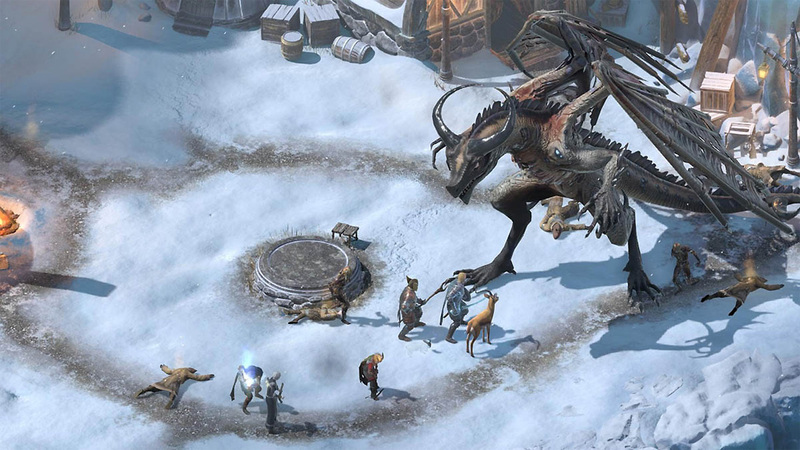 Once you’ve downloaded Beast of Winter, you’ll be invited to attend a mysterious a feast in your honor, which is being held in a remote village at the very south edge of the Deadfire map. Hmmm, doesn’t sound suspicious at all! You discover the invite was sent by the Harbingers, a vaguely Viking-like Elvish cult who worship the god of winter, Rymrgand. Unfortunately, before the feasting can begin, the Harbinger’s village is attacked by a zombified dragon the locals call The Messenger. You manage to chase off the dragon, and the town’s head priest Vatnir comes clean, admitting the Harbinger cult is basically a sham and that he had ulterior motives for inviting you. It seems that decomposing dragon has opened a rift between Rymrgand’s realm and the rest of the world, and you need to close it before all of the Deadfire freezes over. Uh, sure, no problem! Beast of Winter delivers a fairly straightforward story, with little in the way of new character development. Only Vatnir, who joins you as a playable party member, has any sort of arc. It seems Obsidian knows Beast of Winter’s story is a bit dopey, as a lot of the dialogue, particularly early on, has a rather jokey tone. One of the strengths of Pillars of Eternity II is that it lets you play your way, often allowing you to talk your way out of, or otherwise avoid, fights. The same can’t be said of Beast of Winter. The expansion sets the tone by immediately forcing you into a difficult boss fight with The Messenger. From there, the DLC continues down a fairly straight path, without much room for any real roleplaying. Don’t get me wrong, Pillars of Eternity II’s Infinity-Engine-inspired click ‘n’ pause combat and character management remain satisfying. 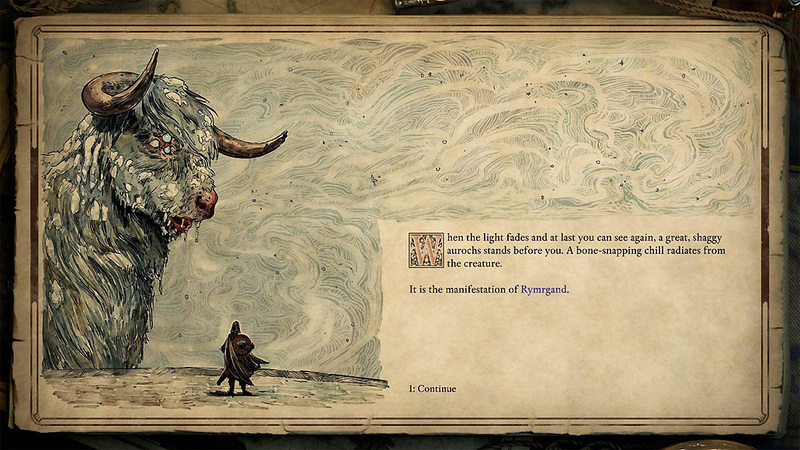 Some of the challenges you face in Rymrgand’s domain — a sort of icy, dreamlike purgatory — are also interesting. At various points, you’ll find yourself traversing a complex network of portals, inhabiting different roles in a Rashomon-like trial, and using time travel to save a key character from a fiery cataclysm. Beast of Winter may not have much effect on Pillar of Eternity II’s core story, but it does tie into the series’ greater history and lore in surprising ways. Beast of Winter ought to take most players around 5 or 6 hours to complete (add another couple hours if you want to clean up all the sidequests). Not a bad amount of content for $10, but compared to the sprawling main game, Beast of Winter feels like an after-dinner mint following a four-course feast. This review was based on a PC copy of Pillars of Eternity II: Deadfire “Beast of Winter” provided by publisher Versus Evil. You can purchase the DLC at a slight discount on Green Man Gaming. 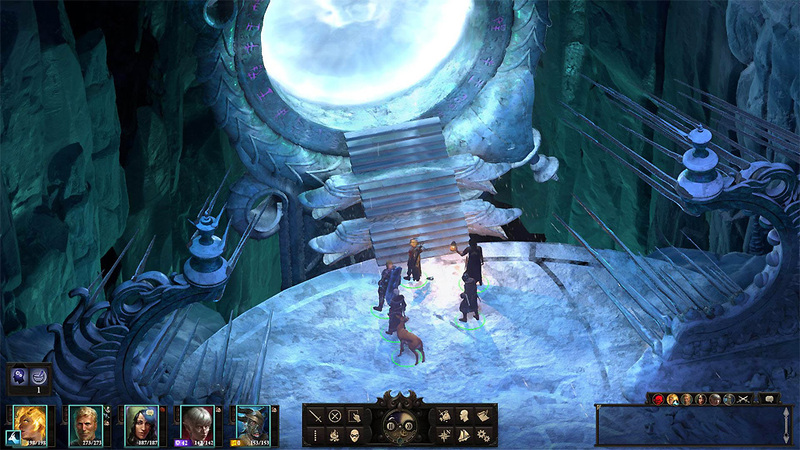 Pillars of Eternity II: Deadfire “Beast of Winter” gives fans more of a good thing, and presents a handful of interesting ideas and story beats. That said, anybody expecting this Pillars of Eternity II expansion to be anywhere near as vast, vibrant, and varied as the core game are likely to be left cold.